Flash goes Tiki! DC Comic's greatest heroes and villains are going Tiki! 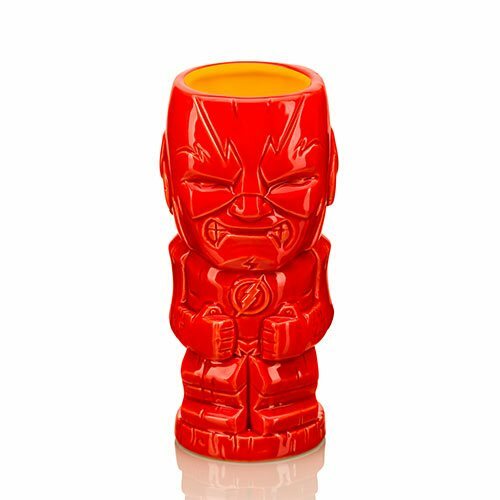 This creative and colorful drinkware combines one of DC's most-beloved characters with the unique stylization seen in traditional tiki culture. This ceramic mug is even top-shelf dishwasher and microwave safe. The Flash 16 oz. Geeki Tikis Mug measures approximately 7-inches tall x 2 3/4-inches wide. Ages 14 and up.